Antiques series. Lorne Spicer and Jonty Hearnden help Olive, who has lived in her family's home for 40 years but is now looking to downsize. Browse content similar to Osborne. Check below for episodes and series from the same categories and more! when the children have flown the nest and it's time to downsize. That's the dilemma facing the lady we're meeting today. and find plenty of treasures to take to auction too. Jonty makes me a promise after I reveal a childhood secret. I had this one. Sea and Seashore. I could never find a starfish. Lorne, I'll find you a starfish! And he's presented with something that touches his heart. We came home with a boot full of fossils! I offer some sound philosophical advice. -I think what happens is what should happen. So, find out what does happen later. to meet a lady who's lived here a very long time. to raise some much-needed funds. chalet bungalow for over 40 years, bringing up her four sons here. Her husband John passed away 12 years ago. and Olive had the bed and breakfast next door. Olive is now planning to move and she'll be downsizing too. So she needs a clear-out, which is why she's called us in. tough decisions of what should go, is daughter-in-law Helen. to make some money for Olive too. While he starts his search, I go off to find our hosts. -You must be Olive. This is your house. -And you are daughter-in-law Helen? -This is a lovely village. Really pretty. -I understand you're thinking of moving? I would like to be nearer... Have some neighbours, and nearer shops. So the money we're looking to raise. Is that towards the move? I've got two very nice Parker Knoll chairs that the cats have shredded. They need to be re-upholstered and recovered. So that's what I'd like to raise the money for. Do you know how much that's likely to cost? -Crikey, that's expensive for upholstery. -So we need to raise £800. 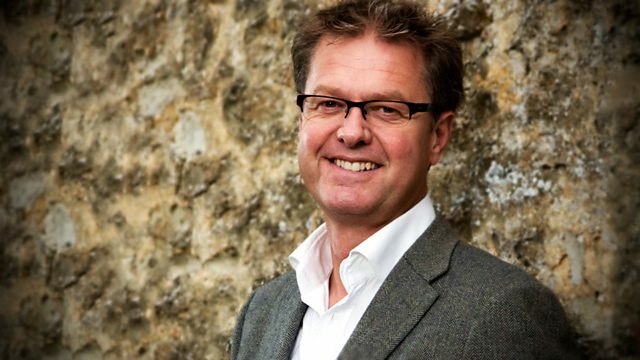 Our expert today is Jonty Hearnden. He's having a look around. Helen, if you could have a look in here. We'll cover as much ground as possible. should receive a closer look. -Ah, there you are, Jonty. The highest point of the house. I started at the top and I'll work my way down. I've found something we could put in the auction. Olive, is this an object we can now sell? Yes, I'm happy for this to go. This piece is an Edwardian dressing table. And it wouldn't have been this colour originally. -It would have been darker, stained to look like a mahogany. The timber is beech, and just on the side here is pine. you it was always designed to be stained and never this colour. We're looking at auction, 30, 40, £50. If we put that sort of price on it, it should walk out the door. OK. That's a good start, then. Daughter-in-law Helen has been hard at work, too. the bed and breakfast Olive ran in the cottage next door. chest of drawers with shell-shaped handles. with a guide price of 30 to £50. Jonty spots a Swiss clock which Olive's mother bought in the 1950s. Swiss clocks are among the most famous in the world. and so only gets a 20 to £30 estimate. I'm going to guess that these are the chairs you want reupholstered. Definitely signs of cat or dog, isn't it? How long have they been mullering your chairs? are quite new. And they did this. The others never did. So when you do move, what are you hoping to achieve from that? and not have to get the car out. And another big difference will be having neighbours. I'm surrounded by them. So I am, in fact, very isolated here. And I'd like to be among people. So those are the two big differences. Then being in a town, you change your wants, your aspirations. being solitary and I do love being solitary. But now as I'm getting older, I want to be among people more. I really hope it goes well for you. And I hope we make the money for you. So it's back to the search for us. Daughter-in-law Helen has been very productive. given to Olive's mother on her silver wedding anniversary. and has a large peridot and two small diamonds. has a crack in it which affects its valuation. It only gets 50 to £70. So, when it comes up at auction, will that damage lower its appeal? Two bids I have. I'm clearing the book at £50. Will it exceed Jonty's estimate? which she needs to get rid of before she moves. So she makes good use of our expert today. Jonty, look what I've found. Wow. Yet more stones. Are those fossils in there? -Yes. Fossils and pieces of rock. He collected this over the years. Even on our honeymoon. and nine times out of ten, he would come out with a fossil! Yes, wasn't it? We came home with a boot full of fossils! -As I'm sure you're aware, I'm used to handling antiques. But this is the extreme, of course! These items here are literally millions of years old. There are all sorts of goodies. There's a beautiful ammonite there. Ammonites became extinct 65 million years ago. The oldest ammonites were around 240 million years ago. your husband get very excited about these. there will be amateur palaeontologists who want these. They have to be worth 40 to £60. Olive's husband John was obviously a keen collector. In one of the bedrooms, I come across another of his compilations. so his valuation is 40 to £60. had found in her shed. these cameras are in great condition and in their original boxes. Jonty hopes they'll make £20-30. Jonty, have a look. What do you think of this? -And why did you buy it? But in all those years, I've only worn it three times. thing riding horses and digging in the garden! the ring band is 18-carat gold, which is very good. We've got three rubies and two diamonds inset into the ring. the diamonds are roughly about a third of a carat. can't weigh them as they're inset into the ring itself. The rubies look slightly bigger. So we're looking about half a carat each for those rubies. and it's a ring that a dealer could easily buy and just sell on. at the moment would be roughly between 300 and £500. -I'd like it to go at that, please. Well done. That is halfway onto our target already. So really very good news indeed. I've noticed the paintings dotted around Olive's house. that Olive bought 25 years ago. and are usually made of oak. so gets a lower valuation of 60 to £80. Olive is wondering whether this crystal necklace might be valuable. as a 21st birthday present from her own mother, back in 1928.
and hopefully it will sparkle in the auction at 20 to £40. Then I noticed something that takes me back to my childhood. Jonty? I've found the Observer books. -Did you have these as a child? -They were great, weren't they? -which is what the Observer books were all about. They first started in 1937. If we open up, we can see the publishers, Frederick Warne & Co. They published Beatrix Potter books as well. you're looking in excess of £100 for one book. How do you spot whether they're first editions? It's a bit of a mystery, the old first edition scenario. then you know that it's a first edition. here we have 75 and the six in front. That means this book was printed in June 1975.
without worrying about them being kept perfect. and I could never find a starfish. So what sort of value, do you think? because we haven't got one gem here. But they will sell. -20 to 30 quid at auction sale. -It all helps. It all adds up. Tell you what, Lorne, I'm off to find you a starfish! You may find that hard in Suffolk, but good luck! I love these. They're great. I won't hold my breath for that, Jonty. like finding out if there's anything else here worth taking to auction. We've managed to find three pictures. Are there more around the house? -Do you know the ladies in these? -Yes, that's my sister, and that's me. They were painted by my brother-in-law. Colin Orchard, we have his signature here. So which of these do you think you'd be willing to part with? -Certainly not these, two, no. -But I'd consider selling that one. -That's a Barbara Hepworth sculpture from the garden in St Ives. Well, he really is a very famous artist. and you don't get much bigger than that! He regularly exhibits at the summer exhibition at the Royal Academy. -So when you bought this painting, how long ago was that? Well, on the back here we have the date of December '89. But in red there's a price of £330. -I paid 300 for it. -Ooh, you got £30 off! -I'd say not long after it was painted. Right. £300, 20 years ago. and also pay the auctioneer a premium as well. is now going to be 300 to £400. I'll have to give it a bit of thought. Yes. the moment what you're going to do with the painting. the value of everything going to auction comes to £930. -The next time we see you will be at auction. we managed to exceed Olive's target. I'm looking forward to seeing how well she does come auction day. My favourites are the 20 Observer books collected by her husband John. when they go before the bidders. that Olive bought as an investment seven years ago. Jonty gives it a glittering 300 to £500 valuation. a member of the Royal Society of British Artists? it could pay for the re-upholstering of one chair on its own! Olive lets slip her trust in what we've chosen for auction. -I didn't think it would sell. And I'm impressed by the sale price of our most unusual lot. We should auction each other, next time! There's a lot of money in old fossils! Find out how all our lots do when the final hammer falls. It's been a few weeks since we met Olive at her home in Suffolk. She's planning to move and wanted to get rid of a few bits and pieces. we've brought to Stacey's Auction House in Essex. so she wants to re-upholster them. Let's hope we make the money she wants and a bit more. This family-run firm are based in Rayleigh, not far from Southend. Their auctions are always packed. The auction house is filling up with bidders now. their decision regarding the painting is obvious. How do you feel about it being here? I've put a good reserve on it, so if it doesn't go, I won't mind. -What figure have you put on it? -I've put 400 on it. As you can tell, the auction's started. Let's get in position. Come on. so Olive's heirlooms and collectibles face stiff competition. First up is the oval bedside Swiss clock. It's up for a very reasonable price of 20 to £30. £10 straight in for this lot? £10 I'm bid. Thank you, at ten. At the back at £18. I think, we talk about £18 to us, cos we're selling the items. But the person buying has commission. -So it's going to cost them more than £20. You have to bear that in mind. so we can't be too disappointed with that sale. up for 20 to £40. £10 in for it. Ten I'm bid now. 12. At £12. Any advance on 12? Are we all done? Against you. At £20 bid. On my left at £20. Any advance? Last time. I'm selling at £20 only. -That is good. Somebody will wear it now. -Really? You of little confidence! Jonty's lower estimate will be the start of a good run for us now. Olive's next lot is unusual for an auction house. It's the interesting collection of fossils. And it has a price tag of 40-£60. -You've put a reserve on this as well? -I put 50 on it, yes. -So if we don't get £50 for it, it's going back. One bid I have. I'm clearing the book at £40. Can't see you. £70. The bid's here with me at 70. Any advance on £70? New bidder. Against you. And five. 90. Five. At £100. £100. Any advance on 100? Are you done? Last time. Selling at £100. We should auction each other next time. There's money in old fossils! That was more than double Jonty's lower estimate. I think Olive is quite happy not to be taking them back home. coin and stamp collection, too. Hammer going down at 40. Bang on Jonty's lower estimate. We're doing pretty well so far. Olive's furniture that she bought when she ran a bed and breakfast. It's the mahogany chest of drawers with shell handles. -Jonty, what do we want for this? -I put 30 to £50 on it. But there is a big split in the top, so I would have put more. But I hope the dealers are here to buy it because it is a dealer's lot. £20 straight in for this one? £20. 20 I'm bid, thank you. And two. 25. 28. £28 now. In the room at £28. Are we all done? -A little bit short again. -No, that's OK. Yes, I'm fine with that. Just missed our lowest estimate by two pounds. But there are furniture buyers in the room. Failed to sell, I'm afraid. and decided it was worth more. With half our lots sold, we've banked £206 towards the £800 target. Not bad going, as there are still some great items yet to come. remember, commission and other charges may apply. Check the details with the auction house. Next is the Edwardian dressing table. I was doing bed and breakfast in the cottage. It's been much loved and much used. What's its value, Jonty? 30 to £50 on this one. Start the bidding at £20. Straight in? 20, anywhere? Are we all done, then, at £20? and decided £20 was not enough for that piece. the painting by her brother-in-law, Colin Orchard. and Olive's decided on a £400 reserve. Let's not waste time. Start the bidding at £300. £300 in. £300 for it. No-one want it for 300? At £340. Are we all done at 340? Last time, then, at £340. 340. Sorry, that failed to sell. -You know what the answer is. It's staying in the family. Look at the smile on this girl's face! I have to say, I think what happens is what should happen. -So had it reached that money and gone, fine. But it hasn't and you'll enjoy it and love it. -And there were bids for it. are delighted it's staying with them. I've got some of these myself. I love these Observer books. They're fantastic. So much information in a tiny book. What do we want for these, Jonty? I put £20 as the lower end of the estimate. You have to let the room decide. 20 to £30 would be great. Start me off at £20. £20 for this lot? £20 I'm bid. 22. 25. £25 front row bid at £25. 28 against you. -At £28 on my left. £28. Are we all done? Just two pounds under the top estimate. A very good result for those lovely little books. £10 I'm bid. All done, then? ..which add another £10 to the pot. We have just two more lots to go, both gold rings. with a peridot and two diamonds. It has a value of 50 to £70. Two bids I have. I'm clearing the book. At £50. Here at £50. Any advance on 50? - Five. 90. - Wow! At £95 on my left. At £95. Are we all done? -That makes up for the others not selling. You've got to take an overview of all these things. The ring went for almost double Jonty's lower estimate. and Olive looks thrilled. How will the other ring do? Now, we really do hope this one sells. It's the ring with three rubies, two diamonds and it's 18-carat gold. So a higher quality of gold. I put 300 to £500 on it. OK? That's what I've done. I've also had a chat with the auctioneer. -One of his concerns is that the actual ring is quite small. because it'll be difficult to put the ring on many ladies' fingers. So could be a problem. -I hadn't thought of that. -Yes. Let's see how we go. One commission bid I have. I'm clearing at £150. -The bid's at 150. Any advance on that? -We need more than that. 155. 160. 165. 170. 175. 195. At £195 now with the lady. but we did rather well on other lots. So have much have we made overall? Now, you wanted £800 to get these chairs reupholstered. I haven't got that, have I? but you've gone straight in. That's £534 more than I had when I arrived. Very true. Is that enough to get the chair project under way? Certainly well on its way, yes. Don't forget you're taking that fantastic painting back with you. -There's still a smile on her face. Olive is keen to get the work on her two chairs started. She heads over to the local upholsterers. -Nice to see you, Olive. Nice to see you again. -You liked the look of that one. chairs will take pride of place in her new, less cluttered home. Olive Osborne has lived in her family's home for 40 years, but the time has come to downsize. She is also keen to have her favourite old chairs re-covered. Lorne Spicer and Jonty Hearnden lend a hand.